Not a lot of people know using a unregistered stove fitter to install your multi fuel appliance can invader date your guarantee. 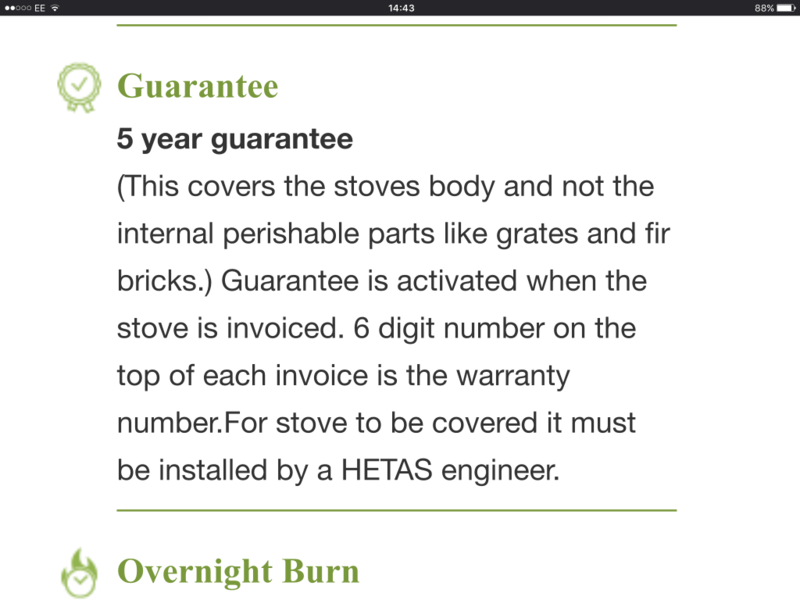 Just one manufacturer that will only guarantee your stove if it is installed by a HETAS engineer. Check the person who is installing your appliance in qualerfied to install the appliance.